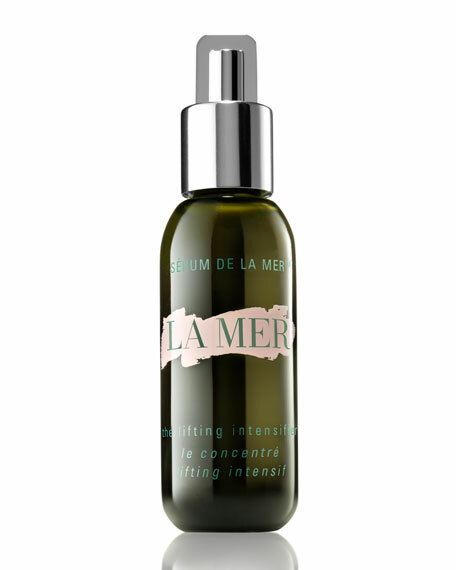 La Mer The Lifting Intensifier, 0.5 oz. La MerThe Lifting Intensifier, 0.5 oz. Instantly tightens with one touch. Used in tandem with the Lifting Contour Serum, this targeted treatment creates a mesh-like matrix that helps promote skin's natural collagen and elastin network. Skin's surface feels instantly tighter and, over time, is "trained" for a firmer, more lifted look. Use wand to dot onto areas where support is needed most and smooth into skin. Follow with your La Mer serum and moisturizer. Avoid eye area. For in-store inquiries, use sku #895729.